about this book: If you’re told often enough that you’re stupid, ugly, worthless, etc., you begin to believe it. That “truth” becomes part of how you see yourself, the basis for decisions, even how others see you. Sometimes we live up (or down) to that truth. But what if it’s not true? Or only partly true? Are there shades to truth? This story explores how truth, and lies, can change the trajectory of our lives. Marti – a scrappy, determined young woman who’s been told all her life she’ll never amount to anything. And Sam – a man with a rough adolescence who had turned his life around only to have it blown apart by the actions of others. Both are determined to hide the “truth,” that they’ve never measured up, and never will. But there’s a greater Truth at work in their lives, one filled with color and hope, promise and a future. To uncover it, they’ll have to reveal the secrets, lies, and half-truths they’ve kept hidden, from themselves and each other. If they don’t, the cost will be higher than either can imagine. 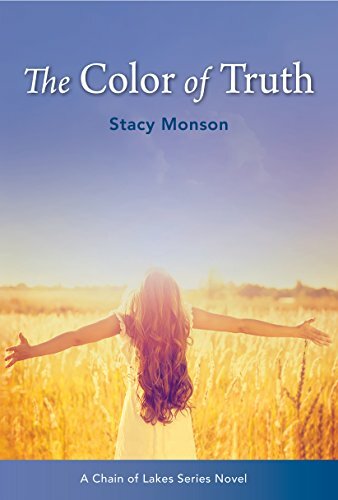 The Color of Truth speaks to those who don’t seem to measure up, who have screwed up, who aren’t like “everyone else.” This story celebrates differences, “flaws,” and learning to be real.